Girls being girls, we always want to look best. 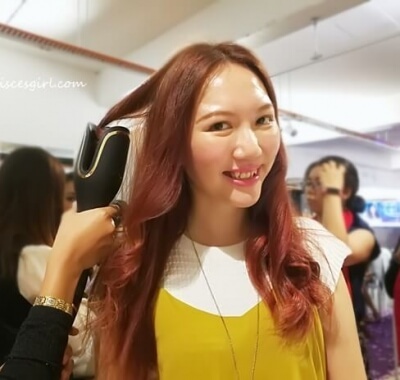 Hence, we perm our hair, do rebonding and give it a new shade of color according to the trend every now and then. Unfortunately, all these chemical services could lead to damaged, dull and lifeless hair. Oh no! Is there a chance to revive it? Fret not as Schwarzkopf Professional BC Fibre Force promises to reconstruct even the most eroded hair, strengthens it and restores it to its optimal level of force and resilience after usage between 4-10 weeks. This product range is formulated with micronized, hair-identical keratin components that penetrates deep into the hair structure to seal the gaps in the Cell Membrane Complex. Cell Membrane Complex is the intercellular bonding cement responsible for strong and resilient hair fibre. The results of this intensive care: 100% more strength, up to 95% less hair breakage – and hair that feels like reborn! The range includes a shampoo, a conditioner, a spray conditioner, a treatment and an exclusive salon treatment which immediately replenishes severely damaged and eroded hair with a high concentration of hair-identical keratin. The range is suitable for all hair types and structures, making it a perfect treatment for everyone. I’ve personally tried it and I’m loving what I see! The texture of the shampoo is smooth and gel-like but it doesn’t weigh the hair down after usage. As for the conditioner, it is not over oily – the consistency is just right. 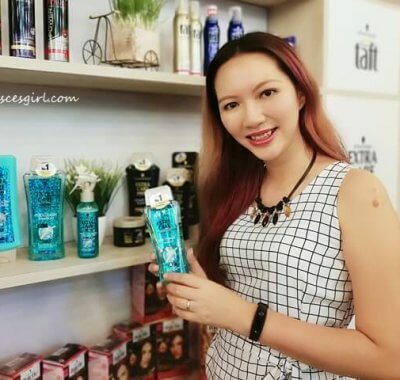 BC FIBRE FORCE SHAMPOO (RM 60 / SGD 24) – The BC Fibre Force Shampoo deep cleanses the hair gently and conditions even fine hair without weighing it down. 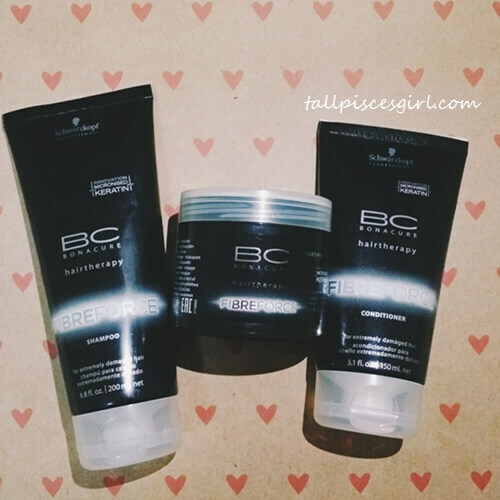 BC FIBRE FORCE CONDITIONER (RM 60 / SGD 24) – The BC Fibre Force Conditioner restores the hair structure from the inside. It restores the moisture balance and seals the hair’s surface. BC FIBRE FORCE SPRAY CONDITIONER (RM 60 / SGD 24) – The BC Fibre Force Spray Conditioner detangles very damaged and eroded hair and refills it with keratin. The inner structure of the hair is improved and the hair’s surface is sealed. 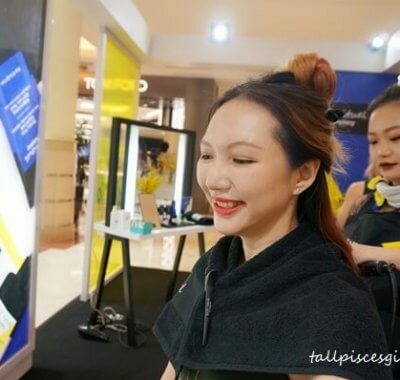 BC FIBRE FORCE FORTIFYING TREATMENT (RM 60 / SGD 24) – The BC Fibre Force Fortifying Treatment repairs the hair from the inside and strengthens it. It penetrates deep into the architecture of the hair and regenerates the inner hair structure. 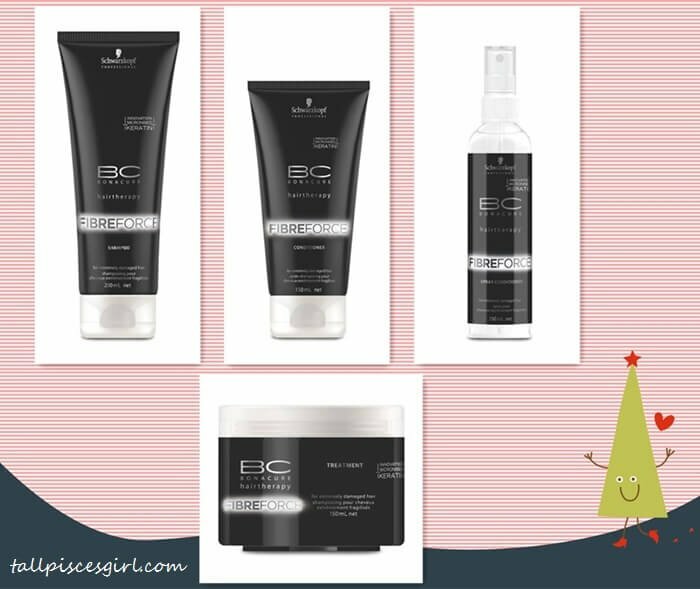 BC FIBRE FORCE MICRO INFUSION (Service price may vary from salon to salon) – This salon-exclusive treatment reconstructs severely damaged and eroded hair immediately by filling the gaps in the cell-membrane complex with highest concentration of 10,000 ppm keratin elixir. The hair becomes more elastic and feels healthy and bouncy.